Sometimes you need a Vitamin D recharge. Thinking about carefree days of sun, beach and warm sea breeze? 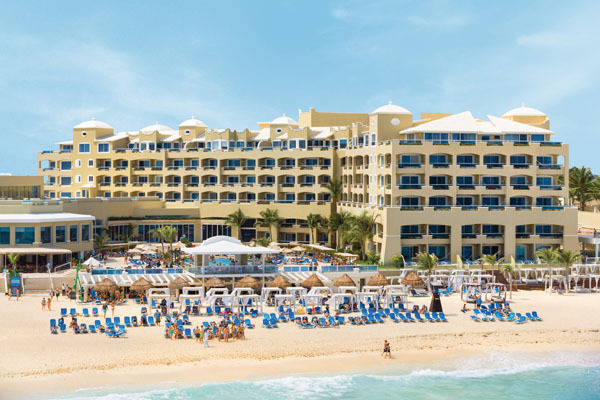 Welcome to the Panama Jack Resorts, an all-inclusive Caribbean beachfront oasis in Cancun, Mexico. 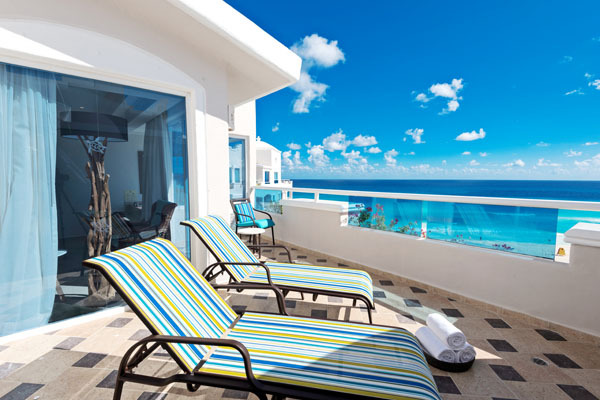 The resort has 458 rooms and suites ranging from the cozy, comfortable to the lavish presidential suite. 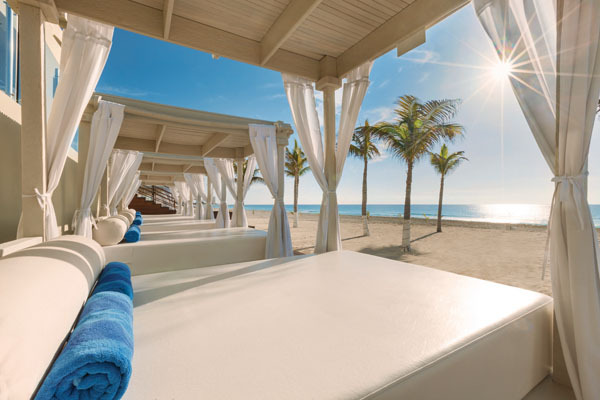 Take your group trip to the next level and reserve the Junior Suite Beachfront Walk-Out outfitted with private beach cabanas and a terrace which leads to the beach. The Junior Suite Infinity Swim-Up links 6 suites together by one large infinity pool. What a way to celebrate an upcoming nuptial or a graduation! Once you check-in, change into your bathing suit and head straight to the white sand beach, crystal blue waters and enjoy some vitamin-sea. Don’t worry about annoying vendors, the entrance to beach is through the Panama Jack lobby making it a sanctuary from the crowds. Ease into vacation mode by having a couple of cocktails poolside (there are two pools to choose from!) while soaking up some sun. The biggest decision of the trip: Beach or Pool? with an aqua aerobics class. You can even join a team and play soccer or tequila beach volleyball until the sun sets. After you build up an appetite, try one of the 13 dining options on site or call it an early night and enjoy some room-service. Indulge with the fresh ceviche and tacos at Deck 74. The freshly baked warm cinnamon buns at Panama Jack Coffee Co. and cold brew coffee are a morning must. 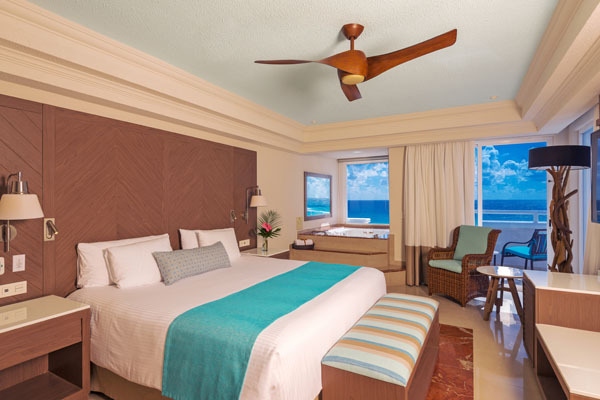 Whether you are looking to hit the reset button or celebrate a life event with friends and family, enjoy some sun, sea and smiles at the Panama Jack Resort Cancun.